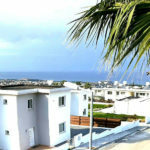 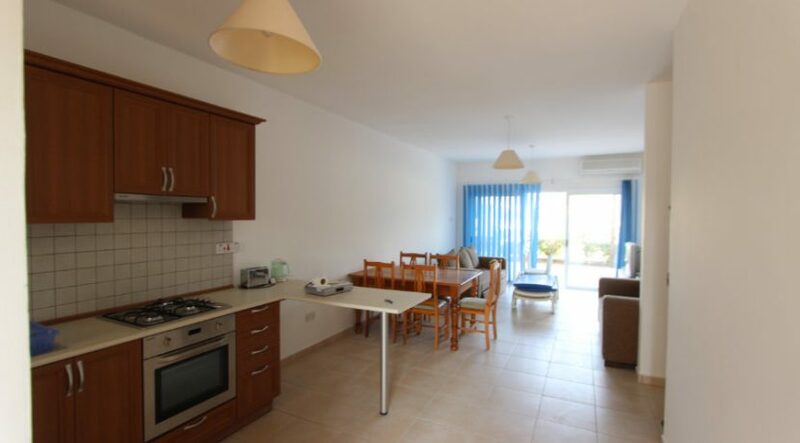 TATLISU beachfront – spacious 95m2 3 bedroom family apartment on the ground floor located next to working marina, on a peaceful gated site yet walking distance from local shop and restaurants. 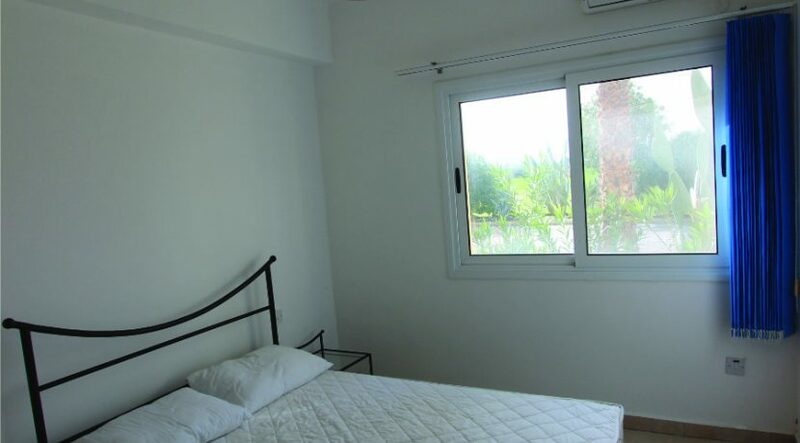 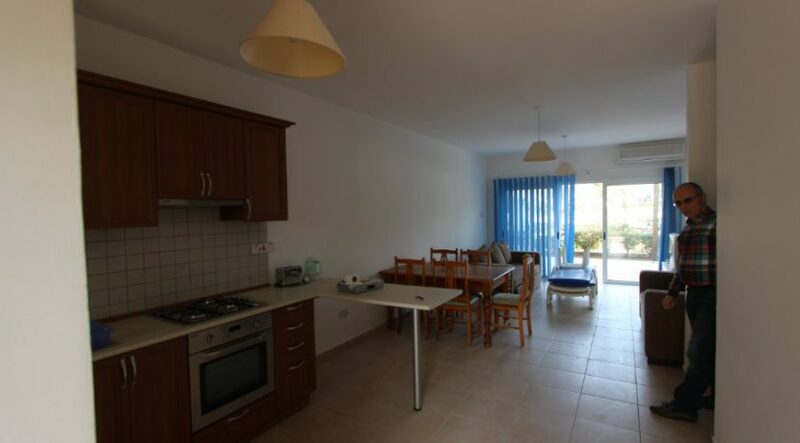 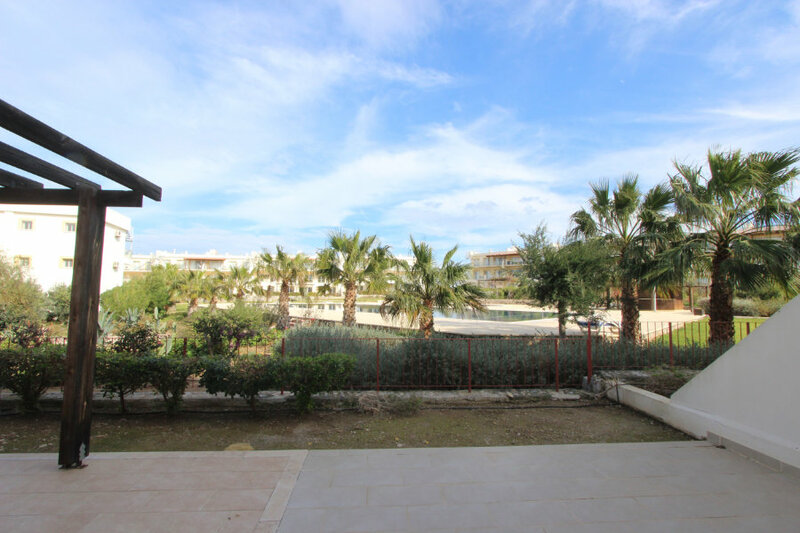 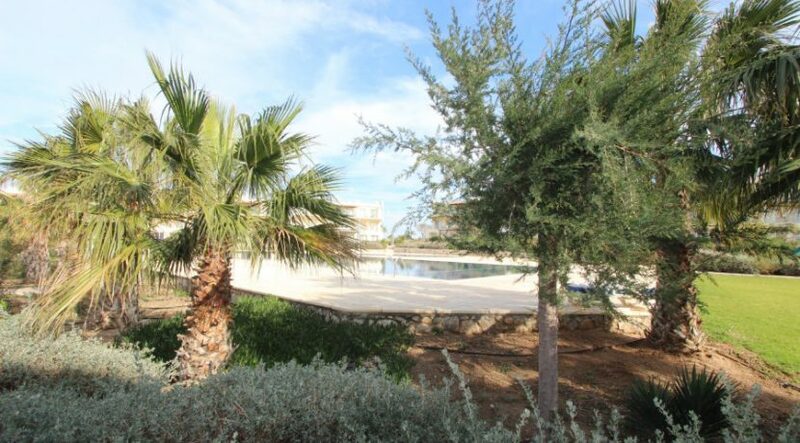 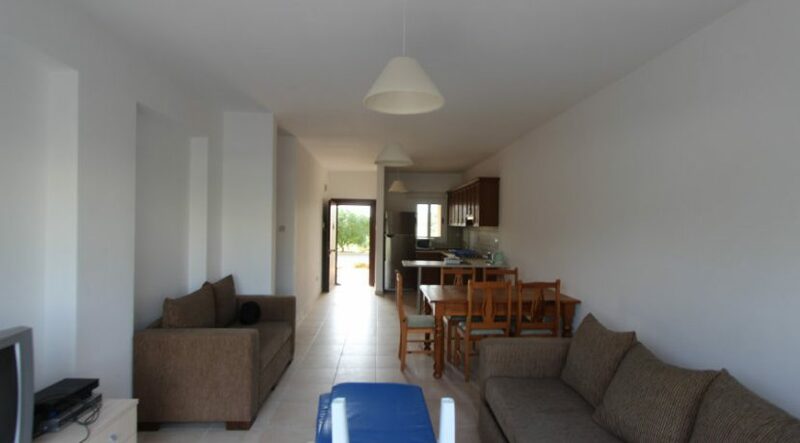 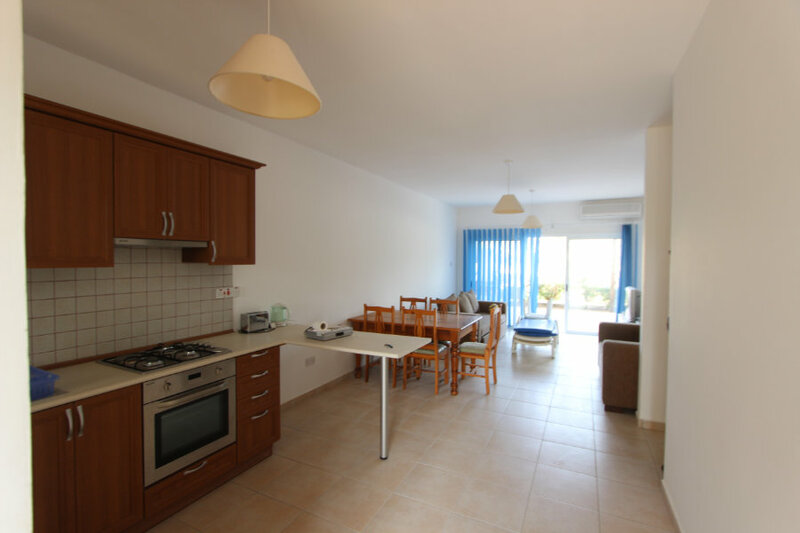 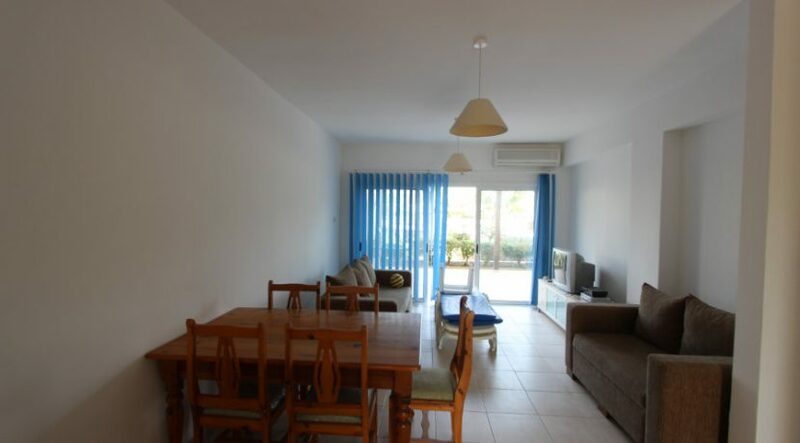 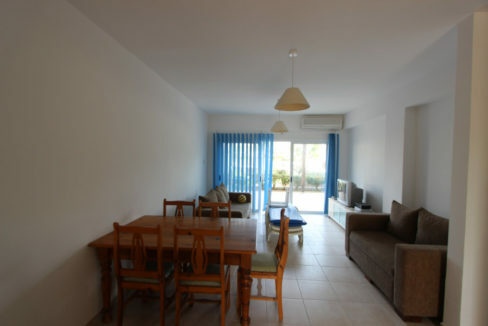 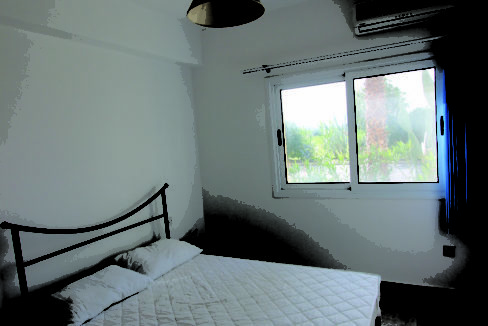 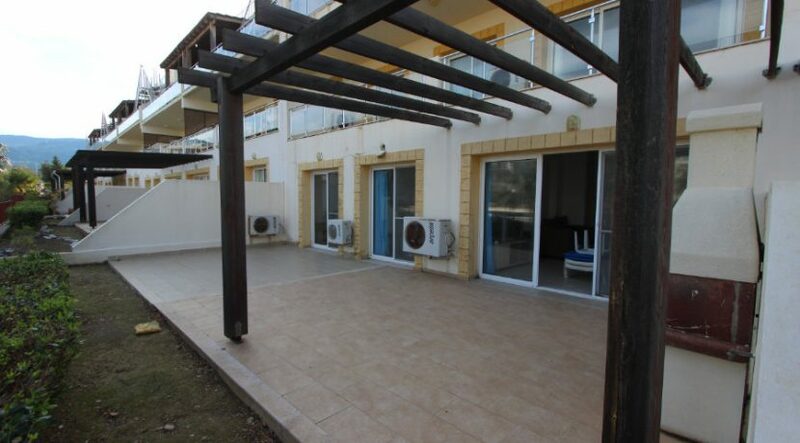 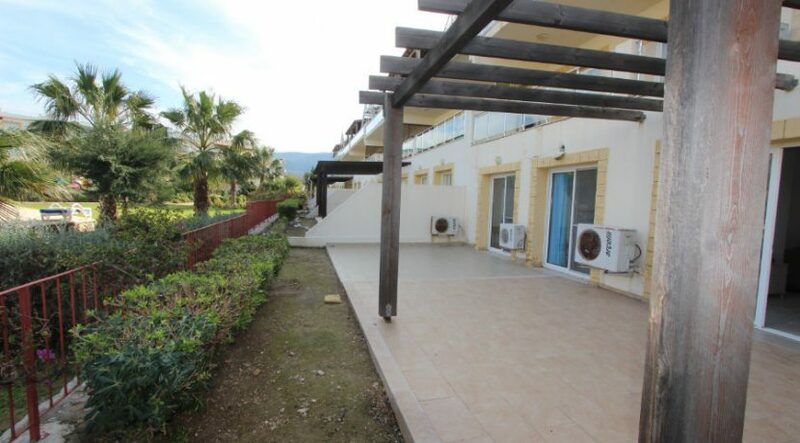 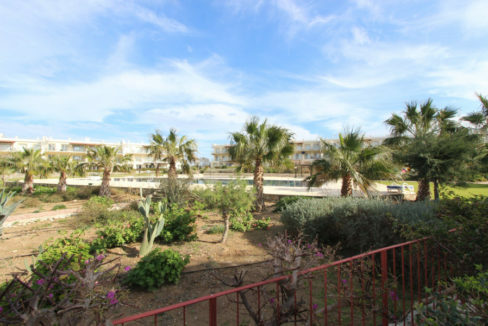 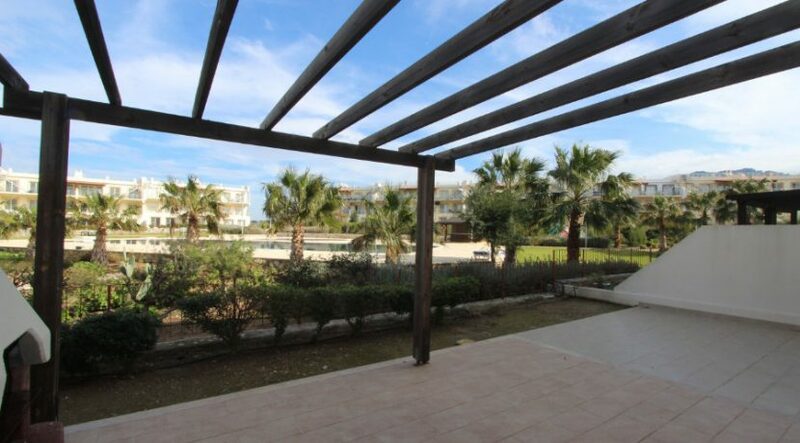 This apartment with garden views and large 60m2 private terrace is situated on a peaceful, well-maintained site in popular Tatlisu – 30 minutes going east from Kyrenia – and would make a perfect family holiday home. 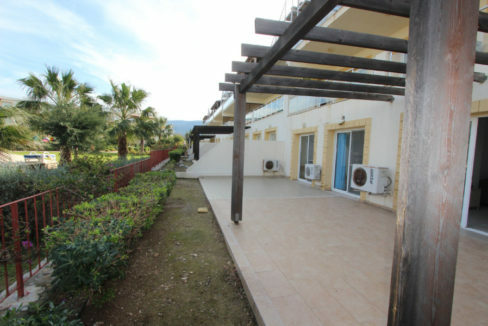 The property is located on the ground floor. 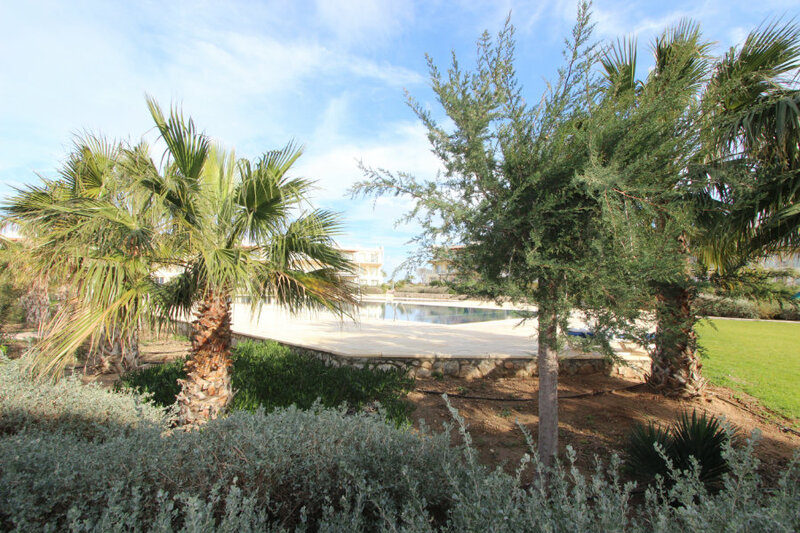 Park immediately outside the property and enter via front door into the open plan kitchen and living area – with French windows ahead to the large 60m2 terrace with east-facing garden views. 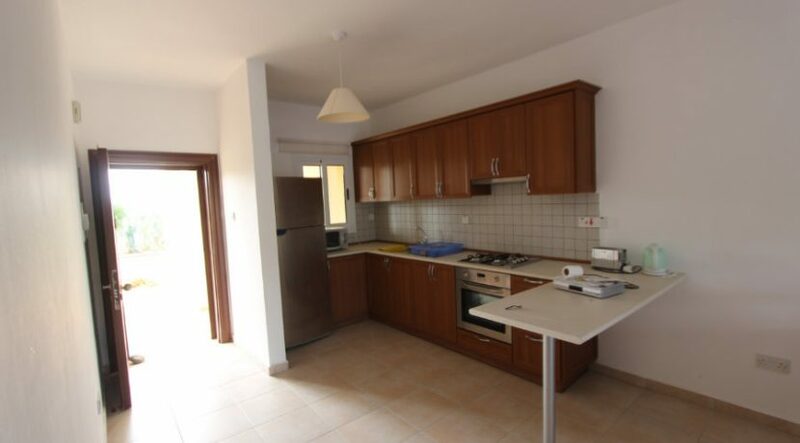 The kitchen area has a good range of wood effect wall and under counter units with quality silver goods included. 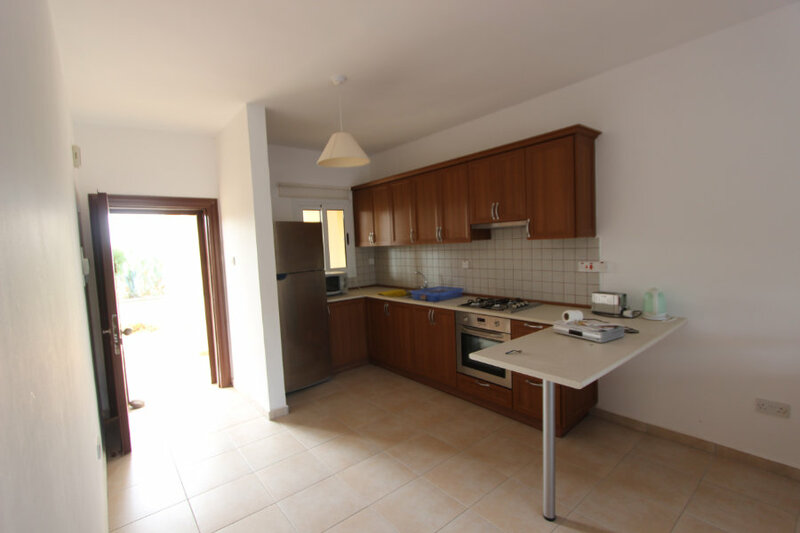 A small breakfast bar separates the kitchen area from the living area, which comes with two sofas, TV, coffee table as well as a solid wood dining table and chairs. 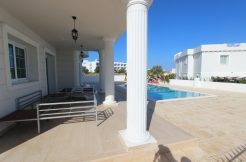 The large French doors open to the terrace with traditional brick BBQ, which overlooks beautifully kept gardens, palms and shared pool which is just a short walk away. 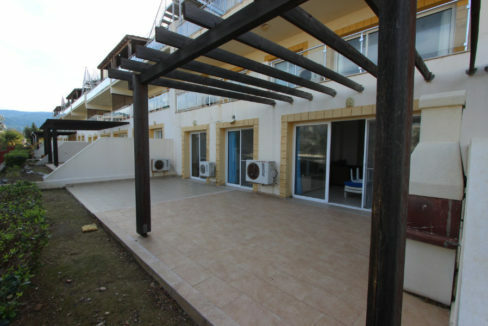 The terrace runs the whole length of the property with three sets of French doors (one to the living area and two to bedrooms). 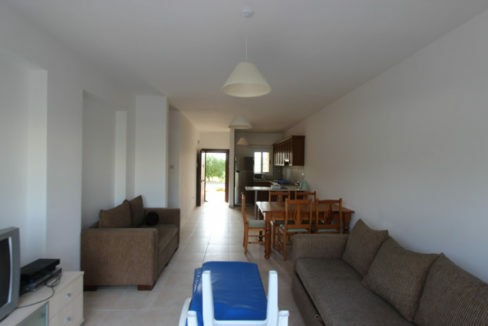 Leading from the kitchen area to the right is a corridor leading to the three bedrooms. 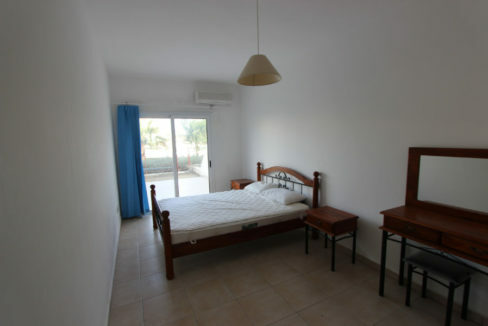 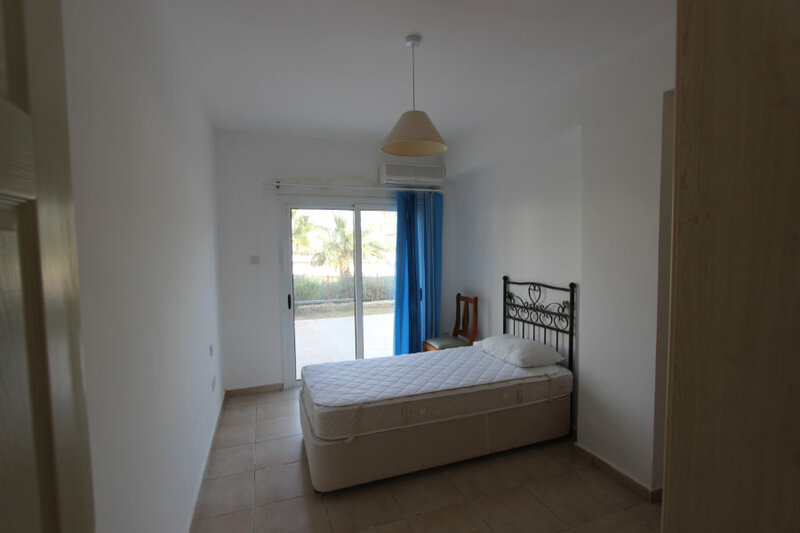 The master bedroom at the end of the corridor also has sliding doors to the patio and is furnished with quality solid wood double bed and bedroom furniture. 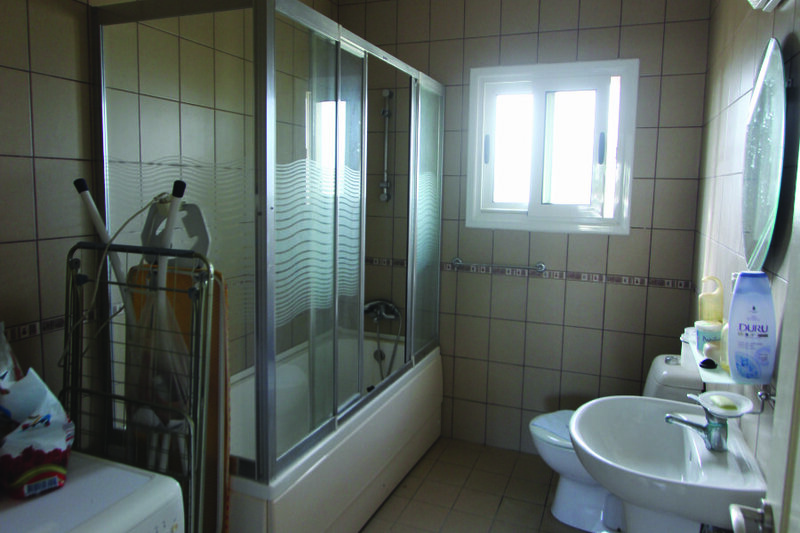 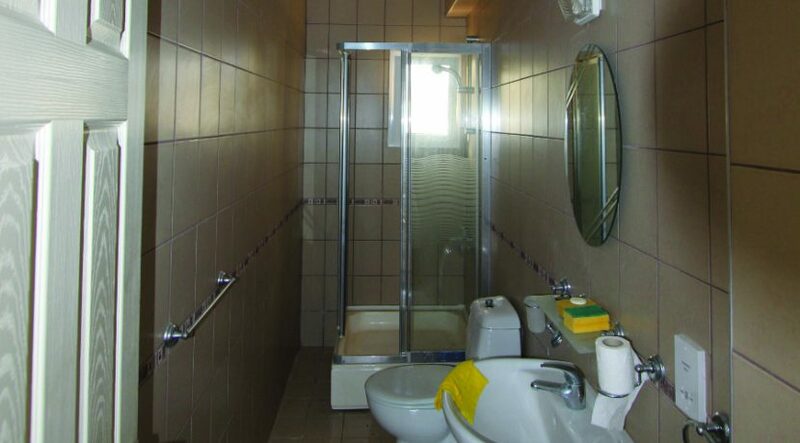 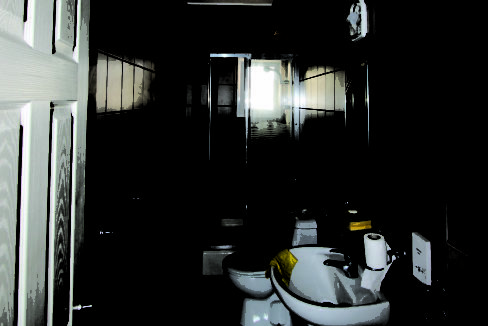 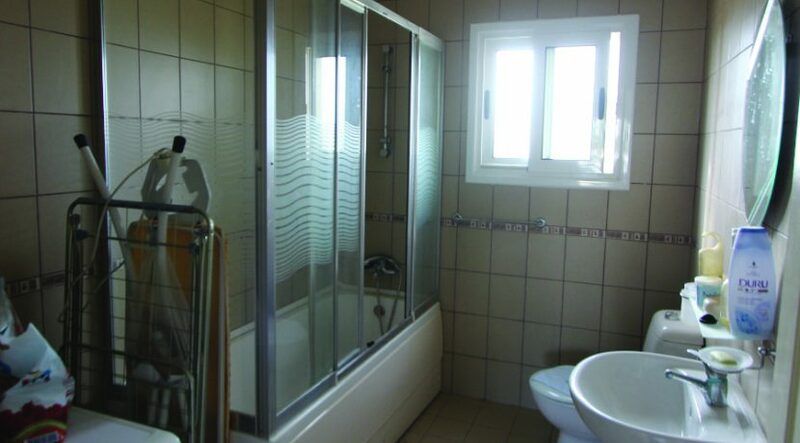 The ensuite bathroom has a full bath with a shower over and a washing machine. 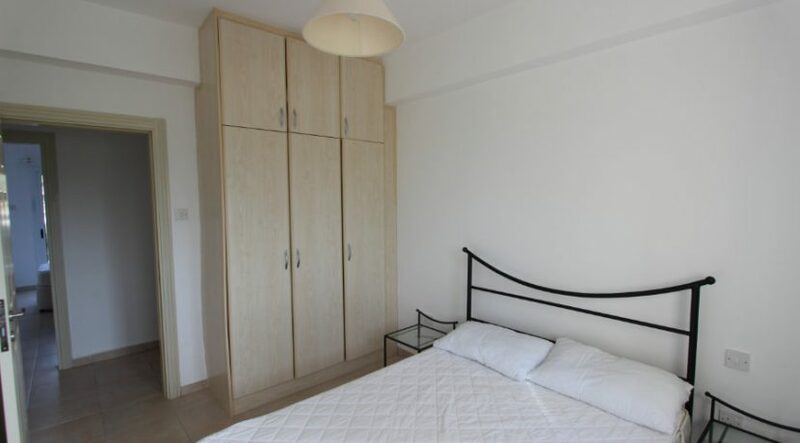 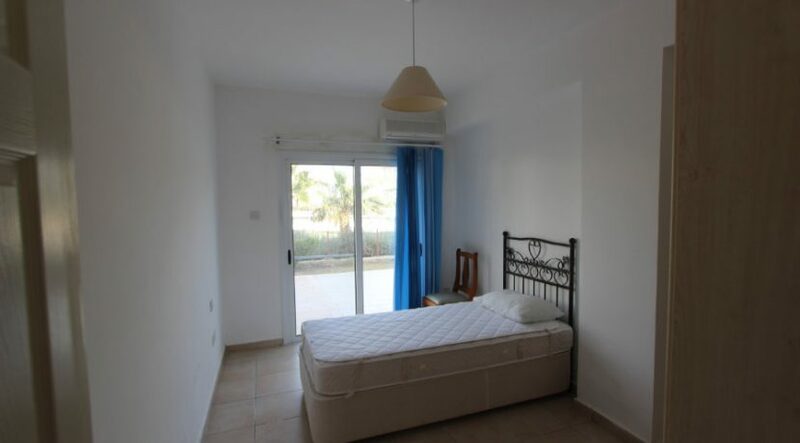 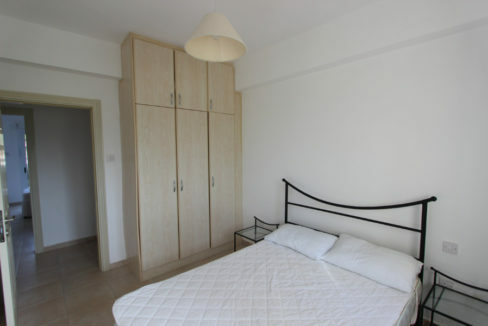 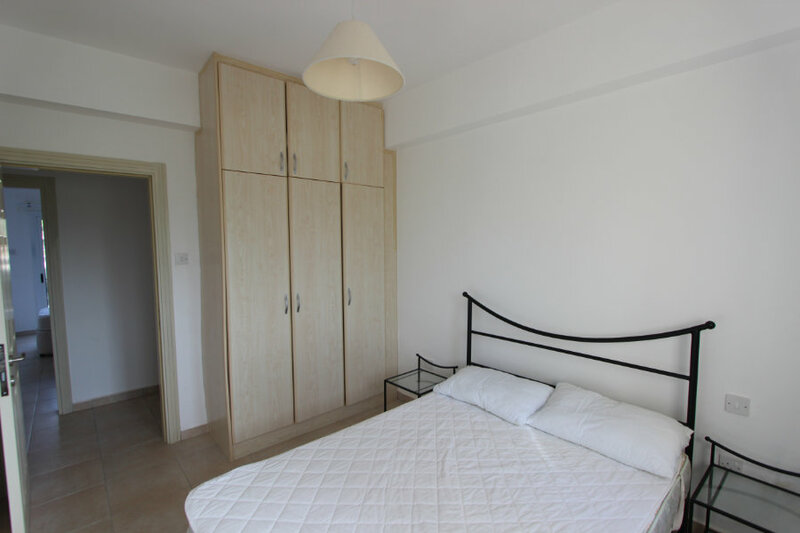 All bedrooms have fitted wardrobes. There are two additional bedrooms – one opening to the patio and the other facing west to the mountains. The family shower room is also accessed from this corridor. 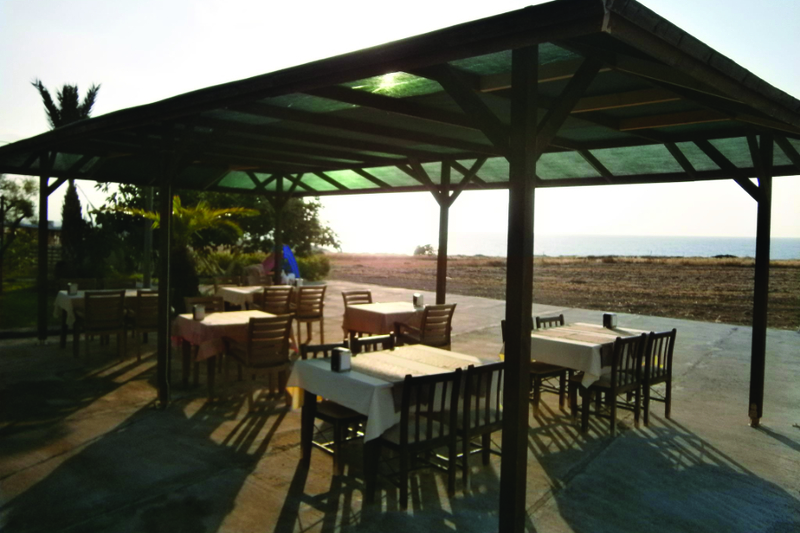 Walk down to the marina bay in the morning, past an old stone church and purchase fresh fish from the local fishermen! 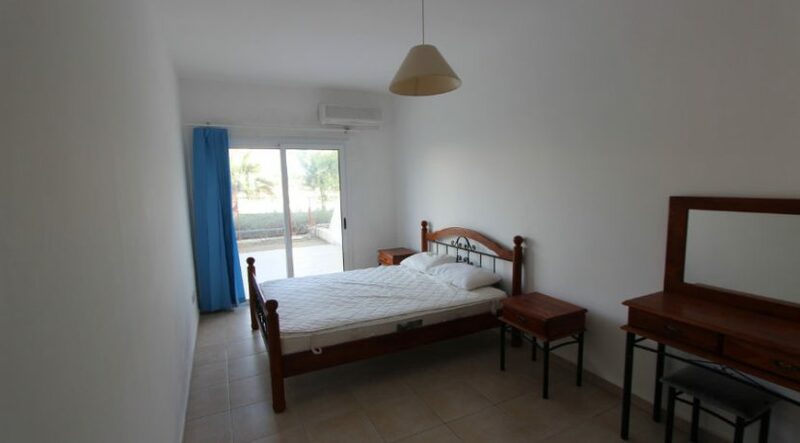 A unique feature of this property is the combination of a very secure, peaceful environment on the site, with easy access to local facilities nearby. 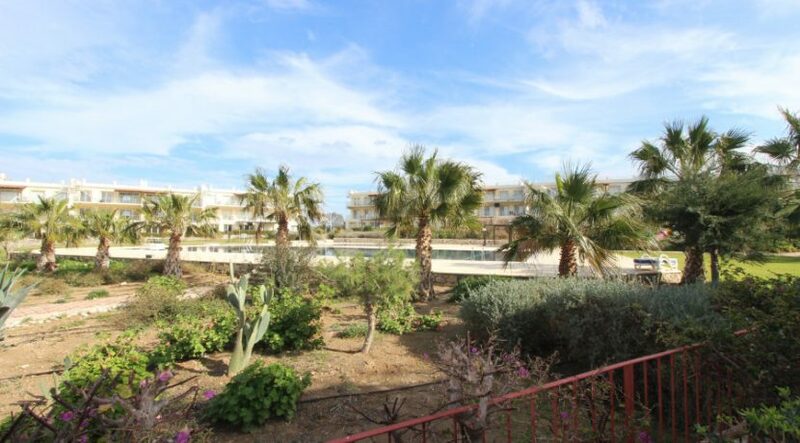 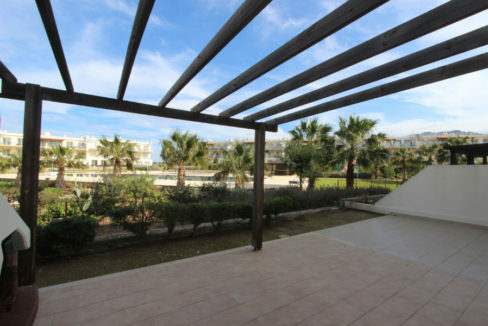 The gated site is well maintained with 3 pools, lovely gardens with palm trees and a pool bar, as well as a gym. 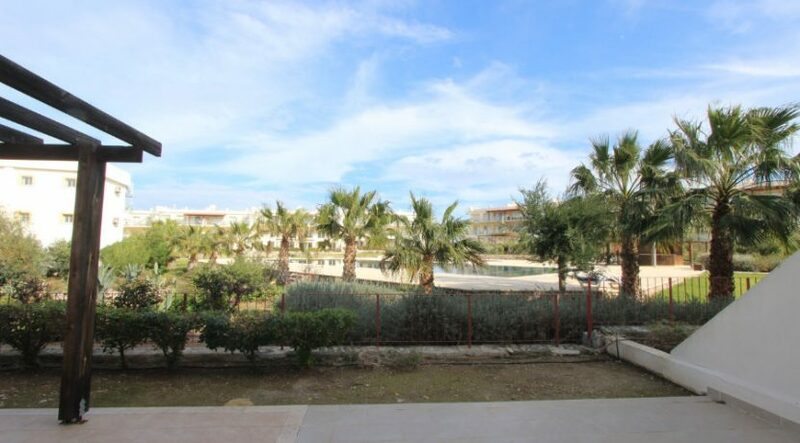 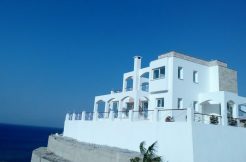 As you exit the site, there is a lane which leads within a 5-10-minute walk to a local mini market (for all daily provisions), two excellent restaurants including popular “Yaman”, and a slightly longer walk or short drive to further restaurants, garage, hairdresser, DIY stores and a larger supermarket. 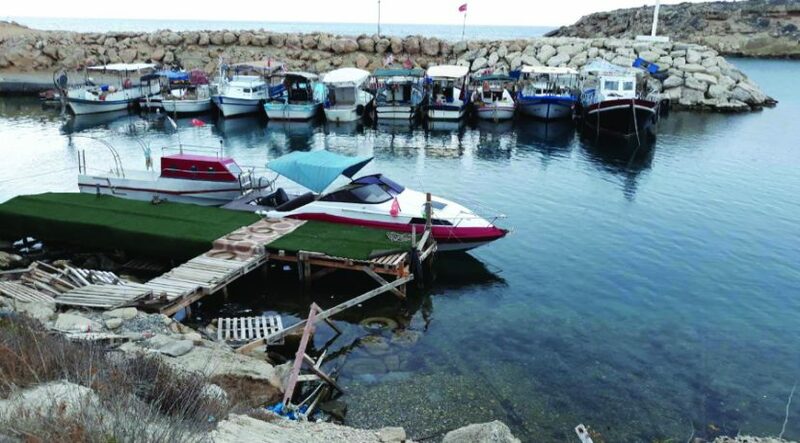 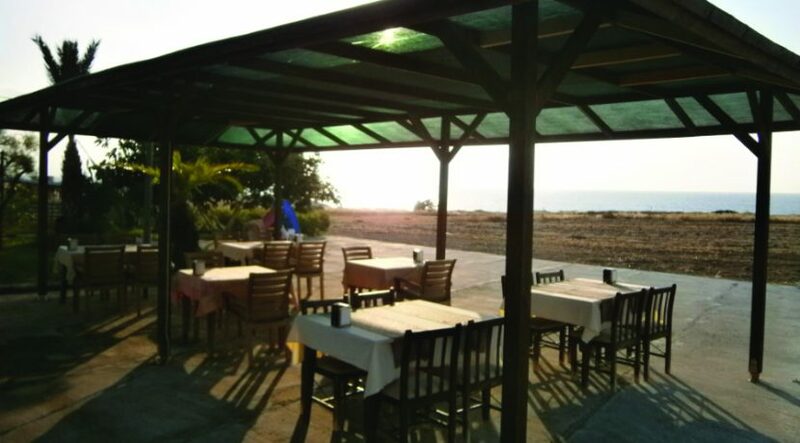 Within a 10-15-minute drive, you start to access the miles of unspoilt sandy beaches of the beautiful Karpaz Peninsula. 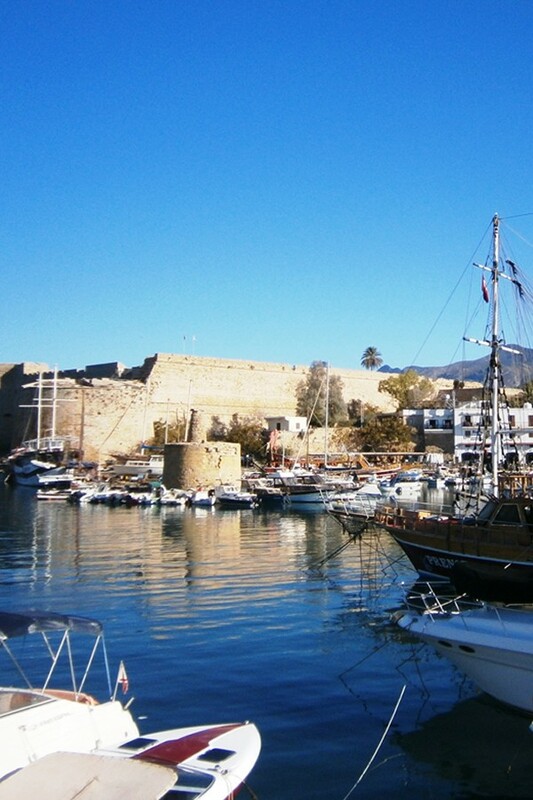 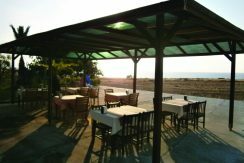 Ercan (20 miles) and Larnaca Airport (35 miles) are also easily accessed via the new road leading from this end of the North East Coast back over the mountains.